One of the cool things about living in Seattle is the sheer number of passionate developers around. Whether you’re dropping into offices, heading across campus for lunch, meeting downtown for music and beer or in my case last month taking a Saturday out to participate in ALT.NET Seattle, there are ideas, enthusiasm and discussions with great developers to be had everywhere. I had an enjoyable day and my thanks go to Brad Wilson (ASP.NET) for driving and listening to my nostalgic 8-bit discussion with fellow Brit Ade Miller (p&p) who previously worked at Future Publishing (Your Sinclair magazine). I’m now messing around with a .NET based Spectrum emulator I started years ago and I’m going to blame him for that. This is the big one immediately preceding the MVP Summit by running February 27th to March 1st at Digipen in Redmond. Glenn Block has more details. Registration will open on Tuesday, 6pm (GMT-8), attendance is free and spaces are limited so get in quick! Consider joining the Seattle area ALT.NET group or ALT.NET Facebook group for more details or to get involved. A newer version of this LINQ to SQL template is available. If you want to customize the LINQ to SQL code generation phase in your project without additional tool dependencies this could be what you’re looking for. 11 Dec 2008 Fixes to association code with one-to-one’s and with no serialization required. 7 Dec 2008 Added IsDelayLoaded, IsUnique. Fixed association code, stored proc update overrides. 17 Nov 2008 Added IsInheritanceDefault read/emit IsDefault on type 26 Oct 2008 Emit column Name attribute if it doesn’t match the member (thanks Steele) 20 Oct 2008 Handle class naming better, fix associations for renamed or out-of-sequence keys and their access modifiers 25 Sep 2008 Figure out missing association keys by using either sides primary key 25 Sep 2008 Empty DBML name-space is now no namespace instead of “MyApplication” 23 Sep 2008 fixed stored procedures with 0 parameters 22 Sep 2008 fixed VB.NET IsForeignKey attribute for associations 18 Sep 2008 now generates stored procedures including insert/update/delete with concurrency checking. Inheritance – generates sub-classes with all properties and code mappings. VB.NET – CSharpDataContext.tt is joined by a VB.NET emitting VBNetDataContext.tt. DataContract SP1 – additional mode to emit SP1-compatible DataContract serialization via Roger Jennings. Composite keys – both as the primary key and as a foreign key in an association. Type attributes – the data context and entity types can now be sealed or abstract as well as public, private, protected, internal or protected internal. Associations – prevents foreign key values changing once the object association is made and updates parent side of one-to-many associations. Stored procedures – generates method wrappers and associated methods to facilitate insert/update/delete with concurrency support. A primary goal in developing the template was to allow for easy switching between the template and the LINQ to SQL designer so things are very similar. Comprehensive sanity checking on the DBML. The Custom Tool Namespace and project namespaces are not pulled in when the DBML namespaces not specified. The designer has a few bugs which helpfully this template doesn’t suffer from. Modifying a table via a stored procedure using original values for concurrency will throw ChangeConflictException and not silently fail. Protected internal virtual property doesn’t forget to be virtual. 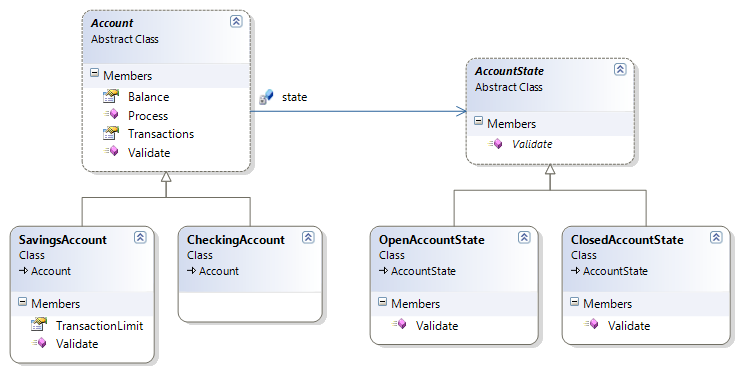 Checks all associations based on a foreign key are not loaded before allowing change and not just the first one. Fully customizable with full source. CanBeNull attribute generated for value types (useful when working with metadata). Everything related to a column mapping – the storage variable, event signatures, attribute and the property itself – is batched together so it can be hit with a single loop making the template shorter and easier to work with. Opinion may be divided on the usefulness of #regions in your own code but for code generation of large files I found it invaluable. 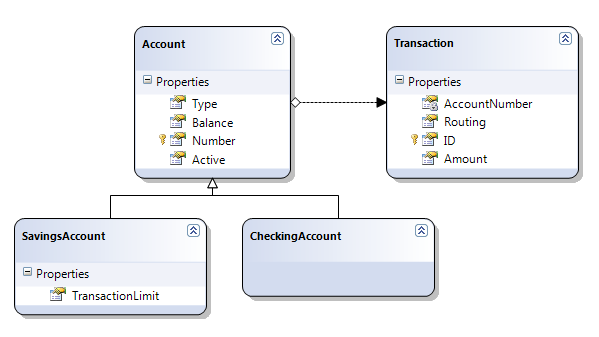 There are regions for the logical parts of the data context and within each entity such as construction, column mapping, associations and serialization. The code generated should be a little easier to follow – if/else ordering, no redundant casts or extra brackets etc. I don’t believe adding “this” everywhere or fully qualifying attributes and exceptions makes things easy to read. I realize this might cause some name conflicts for some people but it is easy to change yourself and means the code is shorter and easier to work with for the majority. Although I work on the LINQ to SQL team this template should be treated as a third-party sample and is not supported by Microsoft. Note that the template will only regenerate when it has been changed so use Run Custom Tool from the template’s right-mouse button menu in Solution Explorer when you’ve changed the DBML. Should you wish to switch back to using the designer code then set the DBML file’s .designer.cs/vb Build Action to Compile and either remove the .tt and .ttinclude file for permanent removal or just set the .generated.cs/vb Build Action to None to keep it around. VB.NET users will need to use Show All Files to see the .designer.vb file. The template run-time built into Visual Studio 2008 is called T4 and requires no additional tools however if you do a lot of editing you might want to install the Clarius T4 Editor for syntax highlighting and also check out the treasure trove of T4 material that is Oleg Sych’s blog. The template is simple to follow, it loads the DBML file as an XML document then uses LINQ to XML to instantiate wrapper objects over the elements. This gives you a simple way to change default naming and behavior while making the template simpler to work with. Let me know how you get on by leaving a comment here. The Log property on a LINQ to SQL data context takes a TextWriter and streams out details of the SQL statements and parameters that are being generated and sent to the server. Normally in examples you will see Console.Out being assigned to it which is fine for small demos and sandboxes but sooner or later you’ll want access to it in Windows or web applications. Here are some examples of how to redirect TextWriter output such as the DataContext log to other destinations. Github has the latest version of ActionTextWriter etc. If you wish to not overwrite the existing log file then change the constructor to include the parameter true after the filename. Bear in mind this log file can get very large and slow down your application with all that extra writing to disk and could well reveal information you’d rather wasn’t persisted there so the DEBUG conditional is recommended. You will be able to examine sw or call ToString() on it to see the contents. Again this is not recommended for production as it will cause a lot of memory consumption as the StringWriter gets larger and larger. Here is a small useful class that lets you send the results intended for a TextWriter off into multiple writers. To wrap things up here is a small TextWriter that lets you go off and do whatever you like with the string via the Action delegate.